This section of the website contains in-depth information that supplements the four Buying Guides. As mentioned elsewhere, the Buying Guides were shortened to the bare minimum needed for all shoppers, and the more detailed facts and information about solar energy and power moved to pages in this section. My hope is that shoppers will read a Buying Guide. Then, if they want more information about a topic, they will follow a link in the Guide to a page in this section of the website . Each article is the complete version of an abbreviated version in a Guide, unless marked "supplementary" or "only here." None of these articles are absolutely essential for all solar shoppers, although the last two ("Solar Lease, Buy, or PPA" and "Solar Financing Options") come close. These articles go into more depth than the Buying Guides do, add evidence for the statements in the Guides, reasoning behind conclusions drawn, and more specific examples and figures for Southern California Edison (SCE) customers. They are organized in this section according to which Buying Guide they supplement. Here is the table of contents for this section. You can get to these articles by clicking on their title either on this page, on the section-introduction page for their Step, or under Solar Info and the Step number in the main navigation on top of all web pages. a. Is Your House Suitable for Solar? b. Introduction to Solar Loans. Very brief. c. Environmental Benefits of Solar. Includes some surprising statistics. a. Is 5kW the Right Size System for You? How to size your system yourself. g. Solar Warranties, Guarantees, & Insurance. The fine print. a. Solar Panel Installer Qualifications. How to check out a vendor/dealer/installer. a. Current & Future SCE Rates. Current rates & schedules for solar. Forecasts. b. Inflation. A tough subject for many people, but important for solar finance. 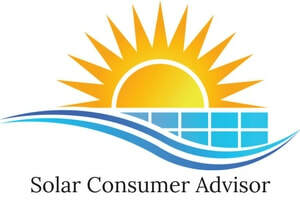 c. Solar Rebates & Financial Aid. Very briefly. d. Solar Tax Credits & Deductions. A brief explanation. e. Solar Increases Home Value. The only thorough, accurate treatment. As an alternative to using my website to shop on your own, I offer a free service by phone or email to all SCE customers interested in solar, whether just wondering if it makes sense, starting to learn about it, choosing equipment, considering ways of financing, or looking for a reliable dealer-installer. Reasurrances: I'm not selling anything; no pressure. I don't reveal any contact information unless you specifically ask me to, and even then only to a single dealer. For details about this service and information about me in a video as well as text, please visit the Home Page.